A*Maze comes in both eau de toilette and eau de parfum concentration. This review is only for the Eau de Parfum which is centered around a highly liqueured rose, in conjunction with oud and saffron. It is something we’ve seen time and time again, now, in 2013, but it was a lot less common back in 2007. Fragrantica says A*Maze was “composed as the first fragrance [for the brand] with 100% natural ingredients,” a claim that no doubt stems from People of the Labyrinths’ themselves and one which I highly doubt. For one thing, the perfume has musk — which is unlikely to be all-natural these days due to the animal ethics issue. For another, I smell ISO E Super in the fragrance. But I’m getting ahead of myself. Henna, Saffron, Taif Rose, Orange Blossom, Wardia Rose, Agarwood, Sandalwood, Musk, Civet. 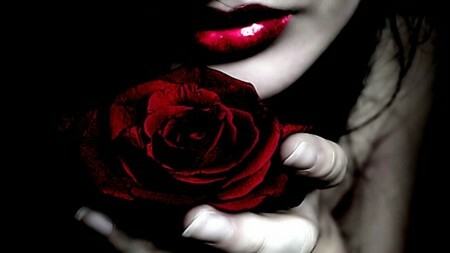 Red Rose wallpapers from Zedge.net. A*Maze opens on my skin as a rose jam. It is a beefy, meaty, dark rose much like that in Tom Ford‘s lovely Noir de Noir. The potent, dense, almost fruited rose is really the only thing that the two fragrances have in common, as A*Maze has quite a significant amount of agarwood in it. Theoretically, so does the Noir de Noir, but it is really negligible and I highly doubt anyone would really classify the scent as an agarwood one. A*Maze, in contrast, is most definitely an oud fragrance and one which has closer similarities with something from Montale. Accompanying that black-red, jammy rose are two other key notes: saffron and henna. The former is sweet and nutty, but with a strongly spicy kick to it. It’s red, fiery, and very far from the dessert-like saffron that you might expect. Lurking right behind it is the henna which adds a dusty, quiet earthiness to the fragrance, though it’s extremely subtle. The same description applies to the oud at this stage which is quite light in nature and swirled into the rose. Less than five minutes into the perfume’s development, the saffron-rose combination takes on a sharp, almost fiery tone that is quite biting. It isn’t metallic at this point, per se, but it goes far beyond the merely spicy. Underneath, there is something that really smells quite waxy and, simultaneously, quite citrusy. Katie Puckrik compared it to “lemon floor wax” which I think is both genius and incredibly accurate. At the thirty minute mark, A*Maze is an incredibly concentrated rose fragrance with a kick. Elements of citrusy wax and fiery saffron are joined by a note that resembles violets. When mixed with the jammy, fruited, dark rose accord, A*Maze turns into something that feels a little like a liqueured, syrupy version of YSL‘s classic Paris. There is no powder, but that violet-rose accord feels quite similar. Unfortunately, there is also something else: a sulphurous, metallic, almost tin-like element to the perfume. It almost feels like potent honey concentrate, but it’s probably just the highly liqueured, gooey edge to the roses. It’s painfully sharp and burns my nose — more and more with every passing minute — before it triggers a mild throbbing behind my eye. I’m not generally one to fall to my knees with worshipful love for a rose fragrance, but headache-inducing, sulphurous, burning roses definitely won’t do it. Things don’t improve at the end of the first hour. As the oud gets stronger and more potent, A*Maze takes on a tell-tale peppered, medicinal, antiseptic accord that is a dead giveaway for ISO E Super. I’m not a fan. In conjunction with that sulphurous rose, I’m wondering if the skin inside my poor nose has been burnt to a shred. I ponder whether to wash the whole thing off, but I persevere and, to my relief, the whole nasty shebang starts to eventually go away. Exactly three hours into A*Maze’s development, it is just a saffron-rose (without sulphur) along with dry, earthy henna atop peppered oud and light musk. It’s not fantastic, but it’s not pure misery any more, either. Perhaps it would have been helped by a touch of animalic musk or civet to make it more interesting and less linear, but neither accord showed up on my skin in any noticeable manner. At the start of the fifth hour, A*Maze is a simple rose scent with some dusty accords and a touch of oud. An hour later, it vanished entirely. A*Maze has incredible potency in the forty minutes. This is not a perfume to spray with abandon, especially if you’re wearing it to a conservative office environment. The projection matched, at first, before dropping off sharply and becoming quite moderate after an hour. Thereafter, the sillage dropped even further and A*Maze remained quite close to the skin. As for longevity, it lasted just over 6 hours on my perfume consuming skin. All in all, I wasn’t a huge fan of A*Maze. Parts of it at in the opening moments were interesting — even bordering on lovely (perhaps) with that beefy, dense, liqueured rose — but then it became extremely unpleasant, before ending as something rather commonplace and banal. Maybe in 2007, I would have been more wow‘d by the notes, but not now, in 2013, overwhelmed by the plethora of perfumes with some combination of rose, saffron, and oud. And did I mention the sulphurous aspect to the rose? Bah. A*Maze has an odd, herbal side, and I’m wondering if that’s to do with henna, one of the listed notes. […] There’s also a honey cast to A*Maze, an animalic floral niff that marries the saffron/rose/floor wax to the skin in a salty, sensual way. I’ve got the parfum version of A*Maze, and though it comes out swinging, it suddenly quiets down dramatically after about a half hour. I’m in thrall to A*Maze’s oddness. Meh. I’m far from mesmerized or in thrall to A*Maze. In fact, I’m not impressed in the slightest. Cost & Availability: A*Maze is available as either Eau de Toilette or Eau de Parfum. This review is for the latter. Both concentrations come in a 100 ml/3.4 oz bottle. On the POTL website, the price is €125 for the Eau de Toilette and €170 for the Eau de Parfum. 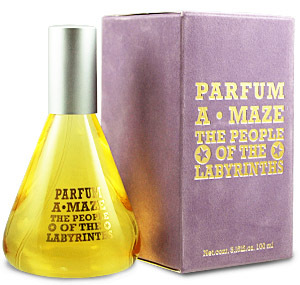 In the U.S., you can find A*Maze at Luckyscent which sells the Eau de Parfum for $215, along with samples for $5. Both concentrations of A*Maze are available at Beautyhabit. In the Netherlands, POTL has shops in Amsterdam and Arhem, with the locations listed here. You can also check to see if some of the stores which carry POTL clothing world-wide have the fragrance as well. Those stores are listed here. Samples are not available at Surrender to Chance.